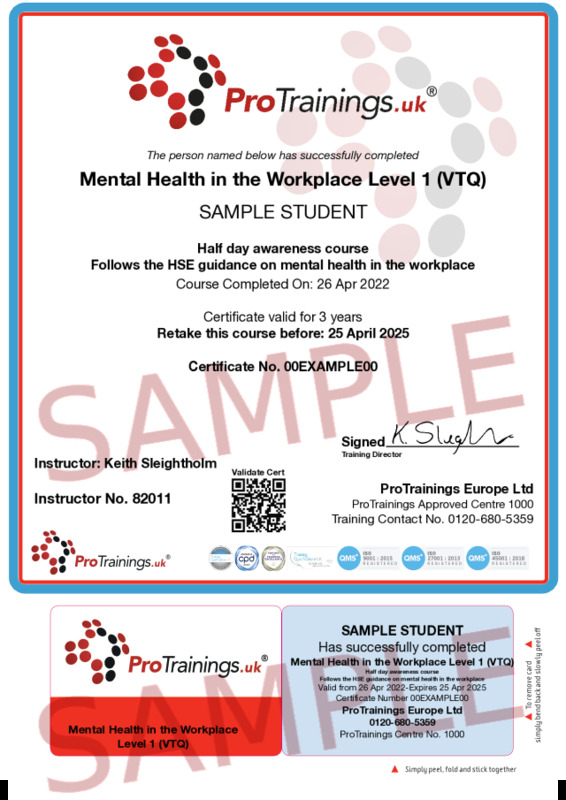 This half day course is ideal for all employees to give them a basic awareness of mental health in the workplace. We also offer a one-day level two course and a two-day level 2 course for managers and those who need a higher level of training. understand the curriculum in finer detail. Understand the difference between mental health and mental ill health. Describe the components of mental well-being and how it relates to resilience. Understand how risk factors associated with mental ill health can lead to problems in the workplace. HSE - What are the Management Standards?